One of the most iconic vehicles of all time. Everyone loves the quirky charm of the Volkswagen camper van design. 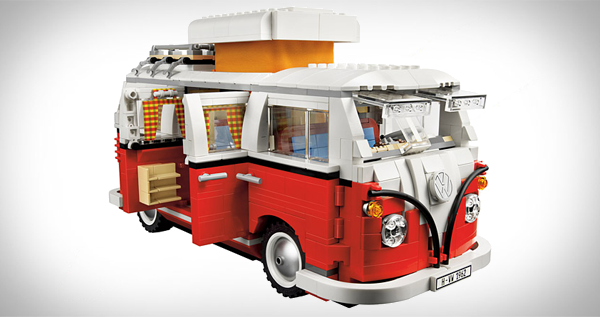 Now Lego is releasing the original T1-Type 2 Westfalia camper. It’s even got a lava lamp in the back. Groovy.